» What Happens in a Folic Acid Twin Pregnancy? What Happens in a Folic Acid Twin Pregnancy? What is folic acid twin pregnancy, you ask? To put it simply it is the concept of increasing the chances of having twins with a doctor-recommended dosage so you can conceive twins. It is interesting to note that there have been studies done on the matter that shed some significant light when it comes to twinning. Researchers in Sweden have found that pregnant women who are taking the recommended dosage of folic acid have a higher chance of conceiving twins. A study led by Bengt Källén of Tornbland Institute looked into birth records from the Swedish Medical Birth Registry. This registry has been gathering data on pregnant women’s use of medicines since 1994. That study revealed that in 2,569 women who have been taking folic acid supplements, the rate of twin births was 2.8 percent. It is to be noted that among the Swedish population, 1.5 percent of births in the late 90’s were twins. Further, Källén’s team continued studying cases of older mothers and those who use IVF. They have concluded that it is possible that folic acid increases the chances of multiple ovulation or implantation of more than one egg. Research shows that moms-to-be who take folic acid supplements are more likely to conceive twins. These studies have found that the rate of twinning increased up to 40% with the intake of such supplements as well as consuming enriched cereal grains that were fortified with folic acid. The Office on Women’s Health states that Folic Acid is a B vitamin (folate) that is important for women who would like to get pregnant or are currently pregnant. Folic acid intake prevents a miscarriage and it protects the growing baby from birth defects by up to 70%. These defects usually happen early on (the first few weeks) during pregnancy, even before the woman finds out she is pregnant. As a matter of fact, since pregnancies are usually unplanned, health professionals recommend all women to take folic acid even if they are not trying to get pregnant. Folic acid and folate also help the body produce healthy red blood cells. These red blood cells carry oxygen to the body. The lack thereof of healthy RBC in the body can cause anemia. It is important to start taking folic acid supplements at least two to three months before you conceive until the 12th week of pregnancy. The reason behind this is because birth defects usually happen within the first three to four weeks of pregnancy. So, it is of extreme importance to have folate early on while the babies’ brain and spinal cord are in the development stage. Taking folic acid two months before you stop contraception can also get you pregnant faster. 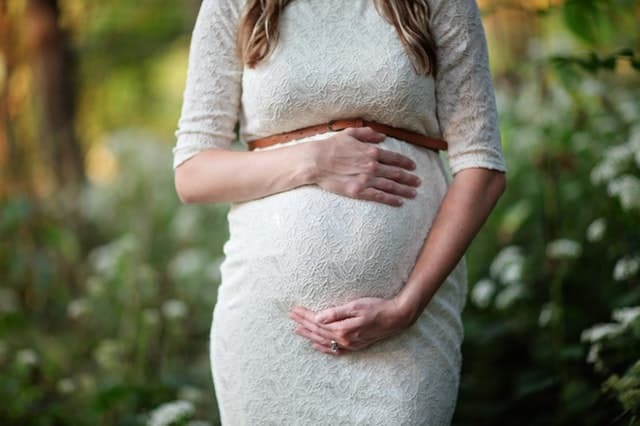 In addition, a study even showed that women who took folic acid for a year before they got pregnant cut their chances of early delivery by 50% or more. Moving on, when it comes to folic acid supplementation before pregnancy and the possibility of conceiving twins, research was conducted to see if there was a significant connection. The said research showed that out of the 38,151 who were pregnant, 395 gave birth to twins. 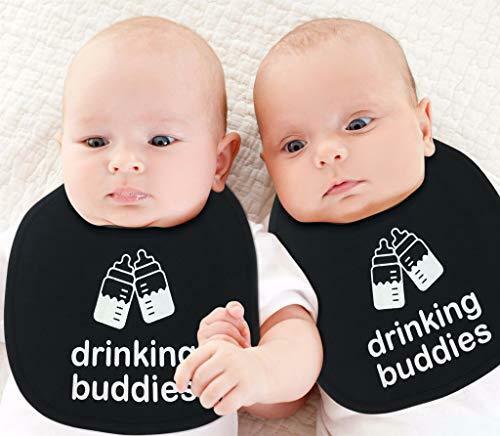 According to the stats, twin births made up 0.78% in the group that was not supplemented, while the chances of twin pregnancies with preconception supplements were 1.52%. This shows that taking folic acid supplements before pregnancy caused a slight increase in the incidence of a twin pregnancy. How much folic acid should I take? In general, women should be taking in 400 micrograms of folic acid every day. For women who want to get pregnant, they should be taking between 400 to 800 micrograms of folic acid either from the food you eat, from a vitamin or folic acid supplement, or from food fortified with the folic acid like breakfast cereal. Other women may be needing even more folic acid every day. If, for example, a woman has had a baby with a neural tube defect like spina bifida and would like to get pregnant again, the recommended amount of folic acid intake daily is 4,000 micrograms. If mothers-to-be would like to increase the odds of having twins, the amount of folic acid intake should be within 400 to 1,000 micrograms every day either through supplements or through food rich in Vitamin B9. Natural food sources rich in folic acid or Vitamin B9 include dark green leafy vegetables, fruits, fruit juices, peas, dairy products, nuts, beans, eggs, grains, cornmeal, white rice, flours, pasta, breakfast cereals, seafood, and eggs. Other sources are spinach, yeast, liver, Brussels sprouts, fish, avocado, Dungeness crab, and asparagus. Are there risks in babies if I take too much folic acid? A study revealed that having an excessive amount of vitamin B9 (folate) as well as vitamin B12 within a mother’s body may increase the risk of developing autism. Researcher Daniele Fallin, from John Hopkins Bloomberg School of Public Health, said that this new study brings about questions as to understanding the optimal dose of folic acid. Mothers who were found to have extremely high levels of folate during delivery doubled the chances of having a baby with autism compared to moms with regular or normal folate levels. The risk is over 17 times higher among women who had excessive levels of folic acid and B12 compared to mothers with normal amounts in their system. However, the researchers stressed that expecting mothers should not stop taking folic acid supplements. Daniele Fallin said that supplementation is indeed important and that they would not want anyone to interpret the study in a way that mothers should stop taking vitamin supplements if they want to get pregnant or if they are already pregnant. The information available regarding what happens in a folic acid twin pregnancy gives valuable insight as to the aspect of vitamin supplementation during pregnancy. We are further assured that anything in moderation and taken in the right and recommended dosage brings about good results, especially for mothers who are planning to get pregnant.